NewsPress Release: Free HIV Testing at Select Walgreens! Walgreens and Greater Than AIDS, a leading national public information response to the domestic HIV/AIDS epidemic, are working with 220 health departments, AIDS service organizations, and other community organizations to help provide free HIV testing and information at participating Walgreens stores in more than 180 cities on National HIV Testing Day on Wednesday, June 27, between 10 am – 7 pm (local time). For a complete list of participating Walgreens locations and supporting partners for this year’s National HIV Testing Day, as well as additional information about HIV testing, including year-round testing sites, visit www.greaterthan.org/walgreens. Walgreens, a provider of trusted care in communities since 1901, is included in the Retail Pharmacy USA Division of Walgreens Boots Alliance, Inc. (NASDAQ: WBA), the first global pharmacy-led, health and wellbeing enterprise. Approximately 8 million customers interact with Walgreens in stores and online each day, using the most convenient, multichannel access to consumer goods and services and trusted, cost-effective pharmacy, health and wellness services and advice. As of Aug. 31, 2017, Walgreens operates 8,100 drugstores with a presence in all 50 states, the District of Columbia, Puerto Rico and the U.S. Virgin Islands, along with its omnichannel business, Walgreens.com. Approximately 400 Walgreens stores offer Healthcare Clinic or other provider retail clinic services. Greater Than AIDS is a leading national public information response focused on the U.S. domestic HIV epidemic. 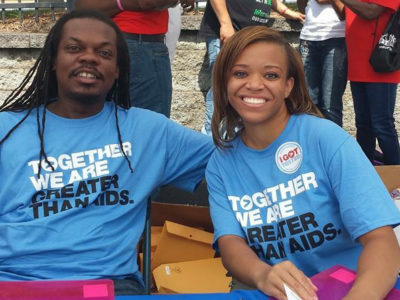 While national in scope, Greater Than AIDS focuses on communities most affected. Through targeted media messages and community outreach, Greater Than AIDS and its partners works to increase knowledge, reduce stigma and promote actions to stem the spread of the disease. The Kaiser Family Foundation, a leader in health policy analysis, health journalism and communication, is dedicated to filling the need for trusted, independent information on the major health issues facing our nation and its people. The Foundation is a non-profit private operating foundation based in San Francisco, California. Get Tested with Walgreens & Greater Than AIDS!